They're also on point if you're *actually* going back to school. 1. The Hogwarts acceptance letter you've been eagerly awaiting. Get it from BoxLunch for $27.92. 2. Something so nautical that people will low-key bring up your imaginary boat in conversation. Get it from Amazon for $26.99 (available in a variety of patterns). 3. A contrast nylon accessory designed for tough knocks. Get it from Forever21 for $8 (down from $27). 4. A deeply discounted French Connection bag to add some variety to your current accessories game. Get it from ASOS for $23 (down from $106). 5. An adorable Sailor Moon bag for those in the know. 6. A cute-as-hell ikat looker to make any ensemble instantly better. Get it from Tobi for $19 (down from $64). 7. A gold sack as a stand-in 'til you actually strike it rich. Get it from ASOS for $12.50 (down from $23). 8. A cheerful masterpiece onlookers will think you spent so much money on, but joke's on them bc you didn't. Get it from Amazon for $27.99 (available in 12 color combos). 9. A charming beauty with plenty of room for lippies and more. Get it from TJMaxx for $24.99. 10. This book bag capable of carrying around a portion of your personal library. 11. 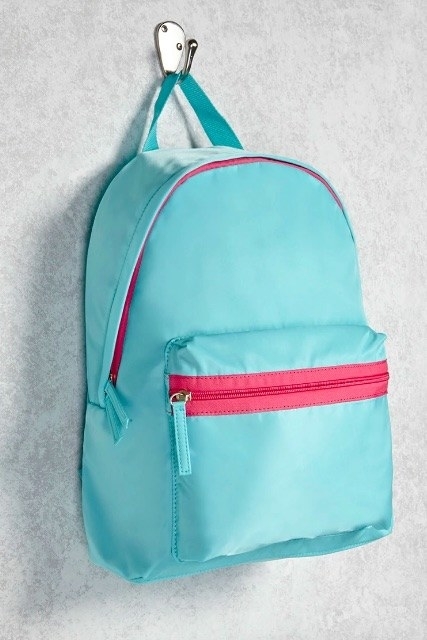 A Nanette Lepore backpack fit for making you look instantly pulled together -- even if you're still wearing the sweats you slept in to your Poli Sci lecture. Get it from TJMaxx for $29.99. 12. An absolute morsel of a Pusheen pack. Get it from Think Geek for $25.99. 13. A mini garden with enough room to carry everything in your unicorn arsenal. Get it from Forever 21 for $22.90 (also available in black). 14. 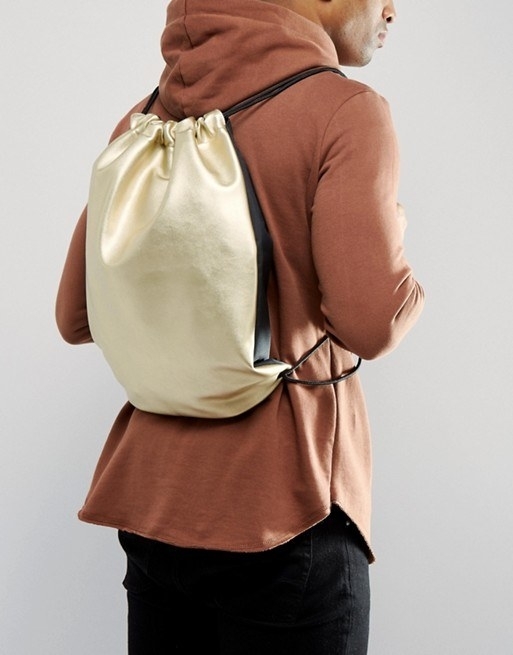 A sleek, classic backpack who's a *really* hard worker. Get it from Amazon for $16.82 (available in seven colors). 15. Your fall wardrobe's new star. Get it from Tobi for $16 (down from $56). 16. This cinch of a fashion statement. 17. A keytar that doesn't require lessons to rock. 18. A Pikachu pack with allllll the versions of your fave bud. Get it from Hot Topic for $20 (down from $34.50). 19. 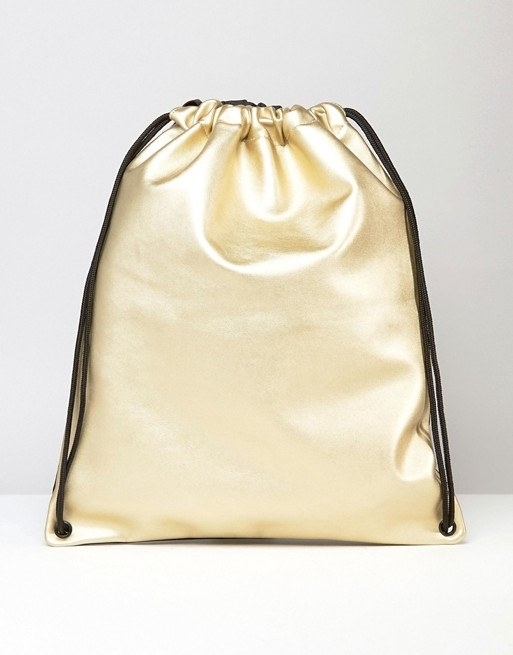 This shiny thermal bag ~looks~ like it could keep you warm in case of an emergency. Get it from ASOS for $24 (down from $40). 20. A crushed velvet dream you probably would've thrown a fit over in middle school, even though you were too old to do that and your mom wasn't having it. 21. A rugged pack -- despite its ~cracked~ appearance. Get it from ASOS for $26 (down from $41). 22. A surprising skull print for when you're scary but cute. Get it from Amazon for $25.99 (available in a variety of colors, patterns). 23. An inflatable fruit worthy of your friend Mr. SquarePants. Get it from ASOS for $18.50 (down from $27). 24. A cactus print that's soft to the touch. 25. A swing denim sack so '90s it hurts. Get it from ASOS for $29 (down from $41). 26. A camo print that shouldn't hide in the woods. Get it from ASOS for $18 (down from $46). 27. A priority list bc LOL you *actually* don't have to do your homework. Bc you're not going back to school. 28. An LBB suited for your giant-mouth-eat-colorful-dots lifestyle. Get it from BoxLunch for $27.99. 29. A printed bag almost too cute to function. 30. A transparent neon for breezing through security in style. Get it from Forever21 for $24.90 (available in three colors). 31. A shell you'll tote around to all your favorite sewers. Get it from BoxLunch for $30.90. 32. 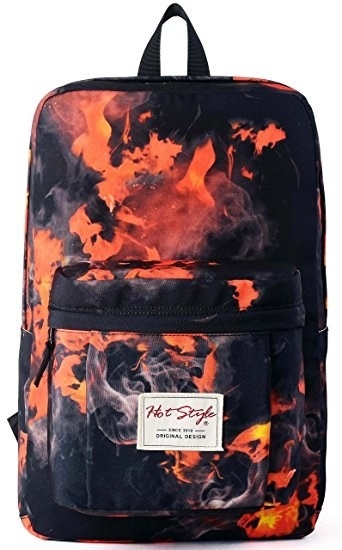 A fiery find in several pattern options for versatility's sake. Get it from Amazon for $26.99+ (available in five patterns). 33. This graphic print for the minimalist Mickey fan. 34. And this 3D bag befitting the maximalist Minnie fan. 35. A lightweight hiking pack that folds up into itself and would come in handy on a number of occasions -- even if you're not the outdoorsy type. Get it from Amazon for $16.82+ (available in two sizes, nine colors). 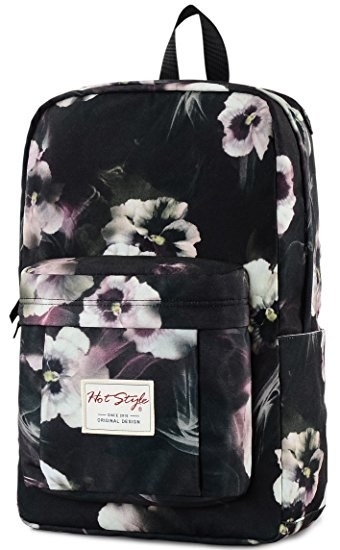 And check out our picks for the best backpacks you can get on Amazon here.